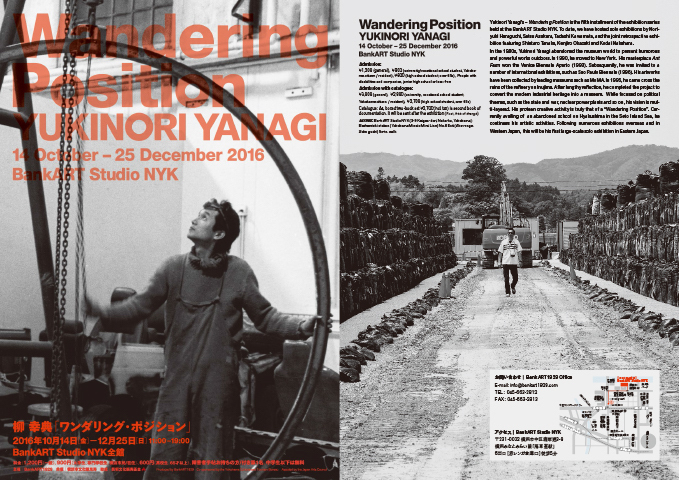 Yukinori Yanagi’s – Wandering Position is the fifth installment of the exhibition series held at the BankART Studio NYK. To date, we have hosted solo exhibitions by Noriyuki Haraguchi, Setsu Asakura, Tadashi Kawamata, and the joint retrospective exhibition featuring Shintaro Tanaka, Kenjiro Okazaki and Kodai Nakahara. In the 1980s, Yukinori Yanagi abandoned the museum world to present humorous and powerful works outdoors. In 1990, he moved to New York. His masterpiece Ant Farm won the Venice Biennale Aperto (1993). Subsequently, he was invited to a number of international exhibitions, such as Sao Paulo Biennale (1996). His artworks have been collected by leading museums such as MoMA. In 1995, he came cross the ruins of the refinery on Inujima. After lengthy reflection, he completed the project to convert the modern industrial heritage into a museum. While focused on political themes, such as the state and war, nuclear power plants and so on , his vision is multi-layered. His protean creative activity is truly that of a “Wandering Position”. Currently availing of an abandoned school on Momoshima in the Seto Inland Sea, he continues his artistic activities. 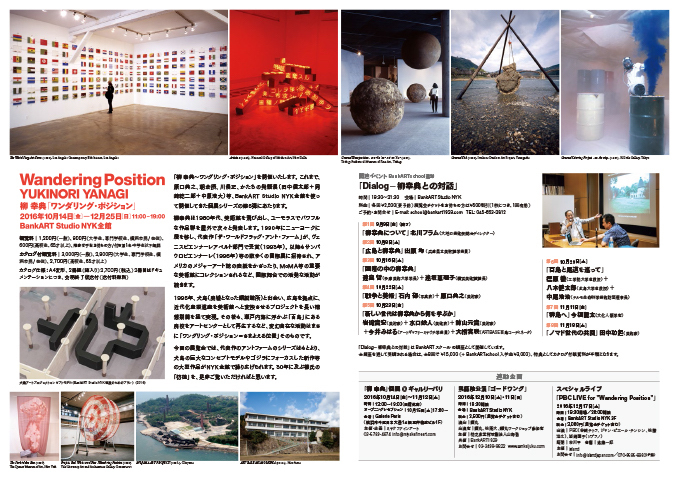 Following numerous exhibitions overseas and in Western Japan, this will be his first large-scale solo exhibition in Eastern Japan.